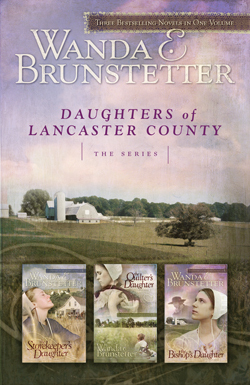 The riveting story of a kidnapped Amish child is told through three bestselling novels set in Lancaster, Pennsylvania's Amish country. From the beginning, Naomi Fisher blames herself for the family's tragedy and journeys away from home to find a purpose for living. Abby Miller leaves her successful Ohio quilt shop to help the Fisher family, but how long can she continue to put her dreams on hold? Leona Weaver is dedicated to her family and community, but when she falls in love with an outsider, could this friendship bring the haunting tale of a kidnapped boy full circle?